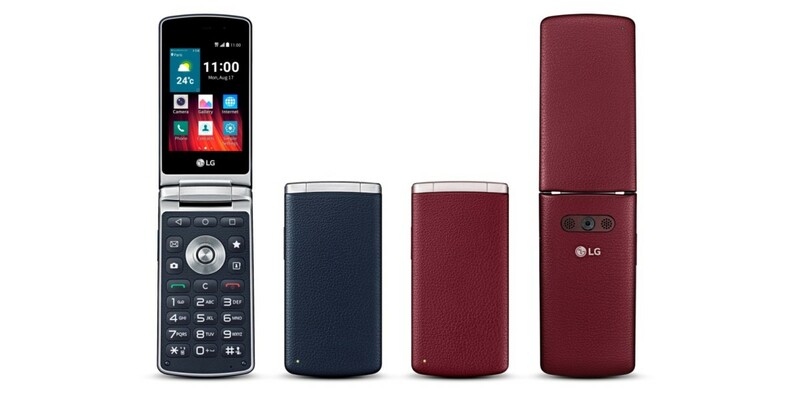 If you miss the good ol’ days when mobile phones actually looked different from each other, you’re in luck: the new LG Wine Smart features a clamshell form factor so you can flip your phone open to answer calls, just like classic handsets from the 90s. It’s not completely stuck in the 20th century, though. The 4G device runs Android Lollipop 5.1 with a 1.1GHz quad-core processor under the hood. Flip-phone fans will appreciate the large numeric keypad that includes hotkeys for your dialer, address book, messages and camera. It’s no flagship killer though. The Wine Smart comes with a diminutive 3.2-inch 480 x 320 pixel screen, just 1GB RAM and 4GB of onboard storage with a microSD slot for expansion. The rear camera manages 3-megapixel images while the front shooter only does 640×480 pixel images. Still, it’s an elegant looking device that should find favor with tech nostalgics. The Wine Smart will launch later this month in Burgundy and Navy across several countries including France, Italy, Poland, Spain, Kazakhstan and Japan.